The World Wide Web has opened up the entire world for eCommerce, allowing you to reach a diverse customer audience. With drop ship wholesalers, you can gain access to a wide selection of unique, brand name merchandise (which might not be available in Australia). From time to time during this profitable business relationship, you will need to gauge your Drop Ship Wholesaler Performance. Because you are the face of your brand, any customer complaints will be directed towards you. That is why it is essential that you find a great wholesaler based on the 3 C’s of superior 1. Communication modes, 2. Compatible technology and 3. Complementary synergy with your business plan. 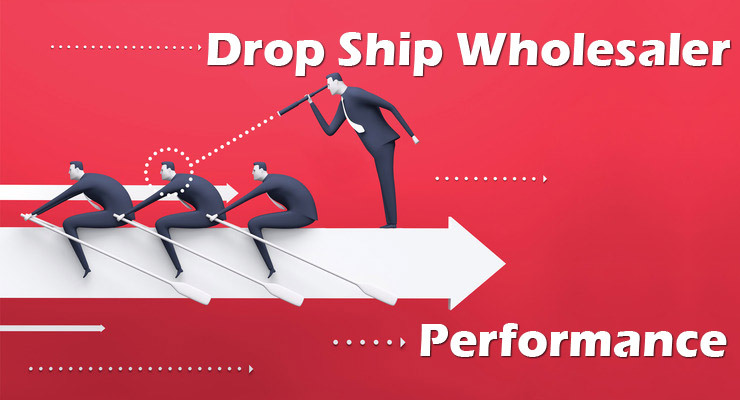 This is a guide on some of the benchmarks to consider while reviewing drop ship wholesaler performance. Wholesalers run large warehouses, where they store numerous products. You might be working with a wholesaler who has general merchandise or concentrates on one specific category, such as electronics. Find the ideal wholesaling firm to complement your own business plan. For some wholesalers, drop ship only represents a small portion of their business plan. 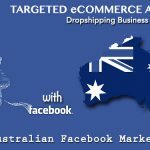 They might have a “Drop Ship Program” to “increase turnover” and develop “positive cash flow.” Today, alot of them also want to expand their drop ship wholesaling market share in Australia. Effective communication between You and your Supplier is vital. 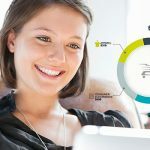 have a customer service representative answer them in real-time. Does your wholesaler have an effective phone, email or Web customer support system? Drop Ship Wholesaler Performance can quite quickly be gauged by how easy are they to contact. In order to best serve your customers, you and your wholesaler must have a very efficient system in place that shows the status of item availability. While there is a growing trend on the use of API’s that directly feed the wholesalers products into your site, this system is rather flawed and is not sustainable in the long run. Generally those same feeds go out to thousands of different websites, search engines such as Google, see this as duplicates and downgrade your site position within its index. In some cases this detriment is quite severe where the entire websites is dropped from their search results completely. A better option is to manually rewrite all your product descriptions and make them original, this way each page is unique, and search engines love that. Synchronized infrastructure is more important on the wholesaler’s side, giving you the reseller access to view stock levels live. This can be done in a simple Google Docs spread sheet that is available to view online, or one of many more advanced setups that might be tailored to the wholesaler needs. If you need any assistance with setting up an ecommerce website, no matter how simple or complex please get in touch with DropShip Carts to discuss a customized solution for your needs. 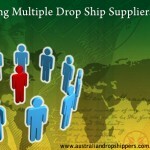 Drop ship wholesaling can complete your eCommerce product line. These suppliers might deliver automobile accessories, high-tech electronics or beauty products, not found in Australia. Before you sign your wholesaler & retailer contract, you need to ensure that your interests are in sync. 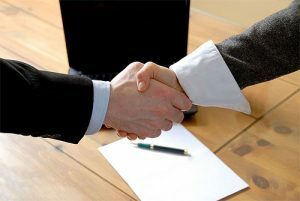 Once you have selected the right wholesaler, you must officially start the business relationship by signing the contract. This will provide the exact terms and conditions, which will be the framework for the business relationship between you (the retailer) and your drop shipper (the wholesaler). Know your contract inside out and back to front. You must provide your business name, address, phone number and website information. The most complete drop ship contracts will also clearly define all of the terms, used therein. Each wholesaler might include slightly different additional fields on their agreements. The method of order fulfillment might also be defined – email, phone, fax or Web – in some arrangements. The effective beginning date will also be listed. The end of the relationship may vary by firm: some will only require either party to give written notice of immediate termination, while others might require 30-day written notice. It might be wise to establish a 30-day written notice policy to avoid business interruptions. This will give you plenty of time to find a new wholesaler. The wholesaler is “not involved in the actual transaction between the retailer and the customer.” The wholesaler is not an agent of the retailer. The customer need never know the name of the wholesaler – all shipments will be made in the “name of the retailer.” Most wholesalers prefer this anonymity. The billing process will be defined clearly. Usually, there will be a 24-hour turnaround time from order fulfillment and forwarding of funds from retailer to wholesaler. “Items will not be shipped until payment is received by the wholesaler.” The wholesaler might even list its preferred payment system. Various fees and charges, like the “Drop Shipping Fee” will be listed. 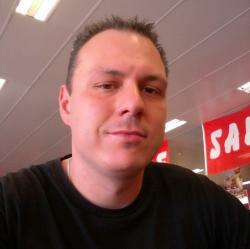 The contract will explain how these charges will apply to orders of different weights, sizes, values and destinations. The wholesaler might provide the “recommended retail price (RRP).” The retailer is responsible for all taxes (GST). 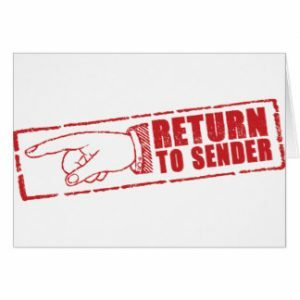 Wholesalers handle returns, but might charge for bad addresses. Your wholesaler will handle all returns, refunds, refusals, damaged and defective items. The top suppliers will identify how long your customer has to return the goods. It might depend on the product (i.e. allergies to beauty products). The retailer will be charged for a “bad address” and a “restocking fee” may be assessed. The wholesaler might make general changes to its “Drop Ship Program.” Many drop ship agreements basically assert that “if one party modifies the contract and the other party continues to participate” – that is proof of acceptance. The only recourse for disagreeing with changes in some drop ship contracts, is termination of said relationship. The best wholesalers will also identify the process for handling claims, including the “statute of limitations.” When a claim is filed, an identification number might be created. This number must be used on all correspondence. Nowadays, confidential personal information policies might also be specified. 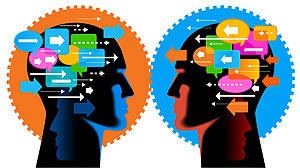 Determine which information can be shared and what cannot be shared. One way to select your wholesaler is to list all the absolute essential functions, it must have. This might include merchandise types, inventory systems and communication methods. Thereafter, you can make your final decision, based on price. Wholesalers will usually charge “per order” or “per box.” Large items might cost more to process. This is one of the primary ways in which online retailers can save money via drop ship wholesale. Your wholesaler will pay the rent for the warehouse space, along with buying shelving, pallets and fork lifts. Usually, the merchandise will be purchased and stored in bulk. There are usually different gradations for packaging starting with the small envelope. The international package handlers might have established these standards. 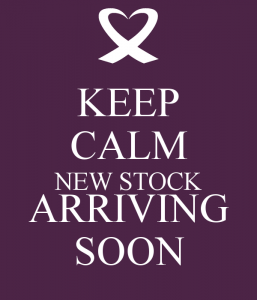 The wholesaler will also pay for labels, tape and boxes. Packaging might also include instructions and documentation. For drop ship wholesalers, this handling category is kind of a catch-all. It might include storage, packaging and shipping charges. 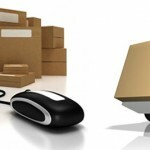 Many businesses use the term, shipping and handling to cover these sundry expenses. Shipping is the cost of hiring a package delivery firm to bring the merchandise from the wholesaler to the customer’s door. In every industry, there are different quality levels and drop ship wholesalers are no different. Some questionable companies might try to collect your personal business information, instead of providing any real services. Remember that this must be a mutually-beneficial business relationship. You shall know them by their fruits. While there are offers for free “wholesaler lists,” you might need to pay a fee for the most “authentic wholesaler lists.” Since 2003, SaleHoo Supplier Directory has been listing wholesalers and dropshippers; they are considered to be an industry leader. At an annual membership fee of just $67, they are also the most reasonably priced. This is a business relationship, you should not have to pay to be working with a drop ship wholesaler. They are your business partners – both of you share in the profits from customer orders. Some fraudulent firms think they are “rock stars” and want to charge you a fee for simply interacting with them or setting up an account. You should not have to pay a dime upfront for communicating with a supplier. Serious wholesalers will understand that their profits will increase when they have more retailers signed up to their “Drop Ship Program.” Thus, if a supplier asks for an “upfront fee” to “set up your account,” this might be a red flag. They might not be serious. Wholesalers will also test you to determine your “seriousness.” A common industry test might be to establish “purchase minimums” for the first month or so. They want to make sure that you deliver enough sales to make it worth their while. After you sign and date your contract, you will have a solid outline for what to expect. Objectively, you want your wholesaler to provide speedy, accurate delivery. Subjectively, you will want synergy, which might include Inventory Visibility, Order Fulfillment, Problem Resolution and Customer Service. Jeremy Hanks of “Practical eCommerce” defines “Inventory Visibility” as the following: “… inventory is the data that tells you where the item is, how many of them there are, and what they cost you as the reseller.” This also tells your customers whether they are available or not. The best “Inventory Visibility” involves the perfect data synchronization between retailer and wholesaler. Ideally, your wholesaler will identify inventory availability in real-time. It is always a good idea to purchase the most advanced drop ship software with superior inventory checking functionality – this allows you to set the frequency for checking product availability. Of course, having your customer purchase an item that is out-of-stock, can be quite an embarrassment. This makes you look “unprofessional.” How can your customer trust you, when you don’t even know if your merchandise is properly stocked? Merchandise availability is also a good reason for having multiple Australian wholesalers with overlapping product lines. Your eCommerce duty is to find answers. Having a back-up plan, allows you to fulfill every single customer order, even after your first supplier has experienced problems. The best wholesalers will consistently have smooth order fulfillment. Frequent communication and fast shipping deliver the most robust eCommerce profits. Mistakes happen. Most drop shippers are professionals and will pay for their own mistakes. They might have accidentally shipped the wrong merchandise to the wrong address. The best drop ship wholesaler will outline the proper complaint & claims process in your contract. As an eCommerce drop ship business partner, your wholesaler is responsible for storing, handling and shipping the merchandise. When they shine, you shine. When you have problems, you will need to find a wholesaler customer service representative who can provide the answers in real-time. Your drop ship wholesaler relationship should be mutually beneficial, synchronized and profitable. As your own eCommerce brand grows, you might need to communicate your changing expectations with your wholesaler. Having multiple wholesalers is always a wise backup plan. Once you develop a good relationship, communication will be easier. You should be able to resolve problems, quickly. When all of your interests, communication methods and technology are properly synchronized, you can earn the best returns on your investment.